As part of HTA Design LLP’s Priority Research and Innovation Projects for 2015/16, the practice supported V22, a multifaceted art organisation, with navigating the planning process to secure the use of Louise House and its grounds as a community arts facility. 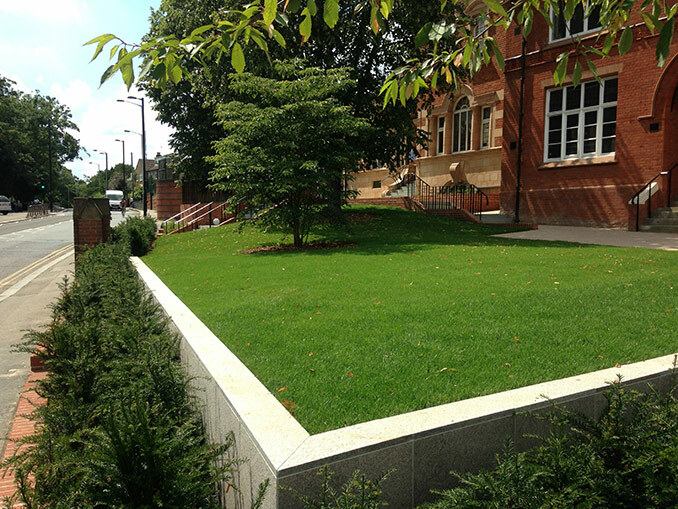 Following securing planning permission and listed building consent, HTA completed the renovations of the front garden to open this space to the public as a renewed piece of public realm. 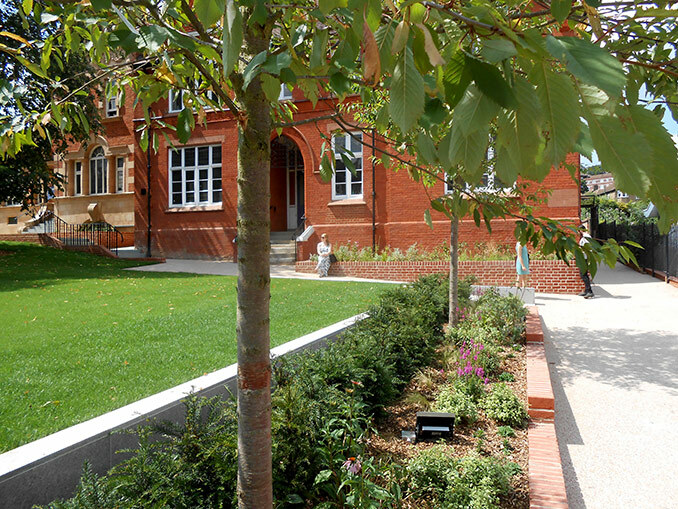 At the formal public opening on Saturday 23rd July 2016, the design of the front garden and the grounds of Louise House were very positively received by the client, artists who use the space, the GLA, and local community. 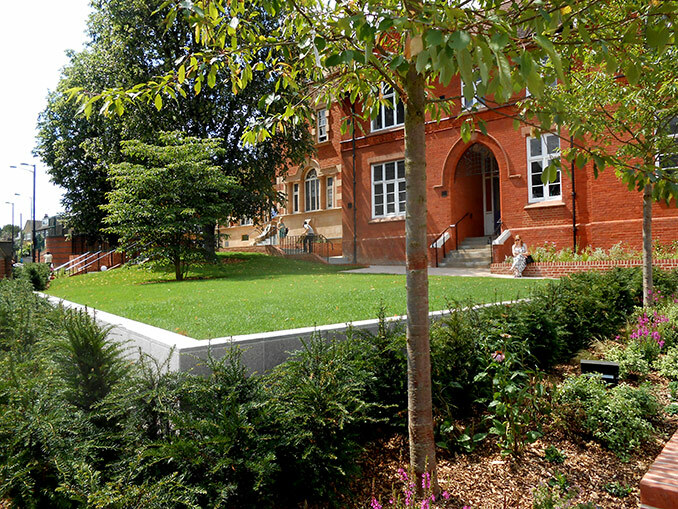 The design of landscape frontage to Louise House and Forest Hill Library reinstates the garden as an attractive, coherent landscape which supports Forest Hill’s historic character and enhances the setting of the Grade II listed building, whilst complementing the modern day uses of the buildings. 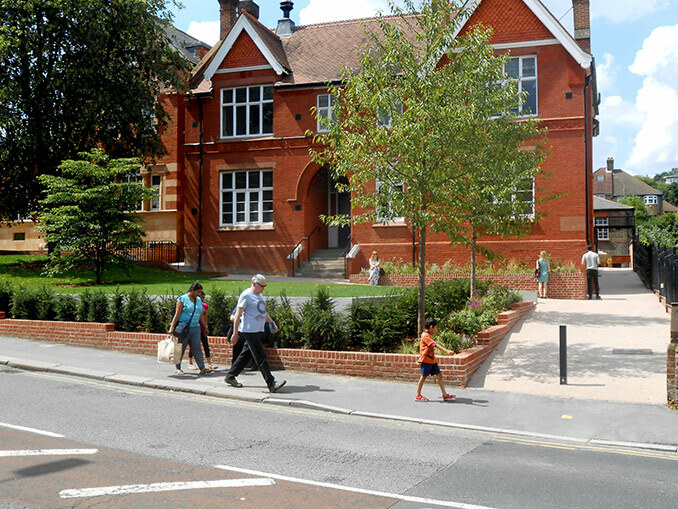 The scheme unites the Listed Buildings on the site, Louise House and Forest Hill Library, and celebrates their renewed relationship with Dartmouth Road reinforcing a creative, literacy, active quarter on the High Street. 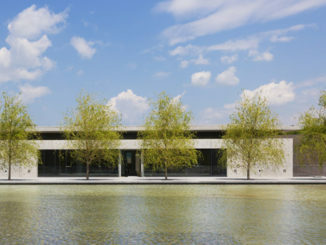 The design was informed by a Heritage Study produced by HTA. 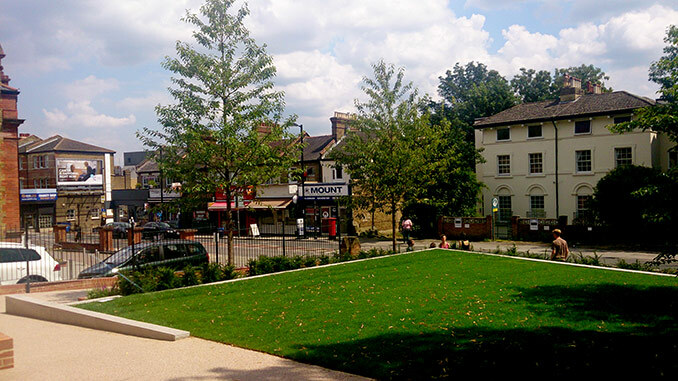 HTA Design and V22 worked closely with residents from local community through consultation events and liaised with key stakeholders to ensure the scheme delivered an improved public realm that supports and celebrates the use of Louise House as a community arts facility. Key planning considerations included demonstrating the acceptability of formalising the use of Louise House as artist studio with flexible gallery exhibition space for the community to use (B1, D1 & D2 Use Classes) and how the proposed design would enhance the character of the conservation area and improve the setting of the listed buildings. 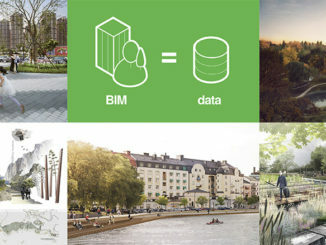 As a multi-disciplinary design practice, HTA Design LLP supports a number of Research and Innovation Projects to broaden the practice’s interests and increase the learning and training development opportunities for its staff. This work is undertaken on a pro bono basis. Innovation Projects form a strong part of HTA Design LLP’s business purpose to create great places. They also contribute towards HTA’s vision to become innovators in Single Point Design; a one stop shop for all our clients’ design needs.